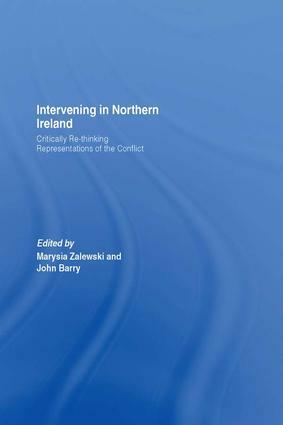 The articles in this special issue, drawn from a workshop hosted by the Institute of Governance, Queen’s University, Belfast, explicitly engage with and challenge conventional academic analyses in order to confront the ways in which the conflict on Northern Ireland has traditionally been represented and understood. Part of the reason for adopting this approach is because it is suggested that to a certain extent, academic analyses have defined the parameters of the conflict which has necessarily had implications for the shape of ensuing solutions. A further claim is that the persistent historical and political search for causes and solutions may be constitutive of the problems that conventional analysts seek to resolve. The articles in the first part introduce and problematize traditional analyses of the conflict. Additionally, these essays explain alternative approaches offering other ways of thinking about how the ‘problem’ of Northern Ireland has been constituted. The second part comprises empirically focused essays, each either engaging with or confronting the issue of the liberal hegemony that defines most analyses of the conflict. The final essay returns to more explicitly re-consider how the ‘problem’ of Northern Ireland has been theorized, represented and understood. This book was previously published as a special issue of Critical Review of International Social and Political Philosophy.